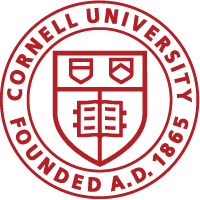 The Brito Lab at Cornell University in Ithaca, NY works in the area of systems biology of the human microbiome. We are looking for talented postdocs to fill two open positions for postdoctoral researchers interested in investigating mechanistic linkages between microbes and human health outcomes. international research related to the microbiome. The lab strives on the diverse backgrounds of students and postdocs (e.g. microbiology, biomedical engineering, computational biology and genetics). Start dates are flexible, but could be as early as this Fall. Interested late-stage graduate students or recently-obtained PhDs, should send Ilana Brito (ibrito (at) cornell.edu) a cover letter and CV. Promising candidates will be invited for an interview. We offer a competitive salary and benefits package.